There's definitely an extra spring in my step as I set out to walk the Scottish Highlands Way. This virtual journey will take me just over 200 miles, from Glasgow to Inverness, and I'm looking forward to seeing many interesting & beautiful sights along the way. I'm also wondering if I'll be lucky enough to catch a glimpse of Nessy, the Loch Ness monster, as I make my around the shores of her home. 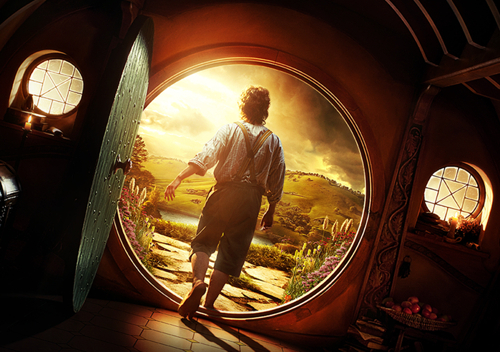 As someone who's already done a virtual Walk to Mordor stranger things have happened! Now walking in the footsteps of Frodo & Sam was quite a bit of fun, especially at the start, but I found that as I neared Mount Doom my feet started to drag. It turns out that the thought of entering such desolate wasteland wasn't exactly the best motivator to keep me walking. Go figure! I'm certain I won't be experiencing the same buzzkill on this adventure as the creative force behind Walking 4 Fun has done an amazing job re-creating the virtual trails and making the journey most enjoyable. Encouragement abounds in the maps, pictures. badges & descriptions provided by the site and, as an added bonus, Fitbit fanatics like myself can have their mileage automatically logged. Instead of worry about logging my steps for the day, I can just keep on daydreaming that I'm Claire Beauchamp from Outlander making my way back to Inverness. Let's face it, Frodo Baggins has nothing on Jamie Fraser in the fantasy department. The other lesson I learned from my previous virtual walking experience is that it's really a lot more fun sharing the experience with friends so if you're interested please give me a shout. I'm a plodder (pushing myself to get 10k steps / 4 miles a day) so I expect to be walking for the next two months. Feel free to contact me at any time and we can support each other along the way. I'll be signing the Register as I go and as "walking friends" we can keep track of our respective whereabouts using the trail maps. Now I'd better get up & get moving as I hope to be in Milngavie by sundown! 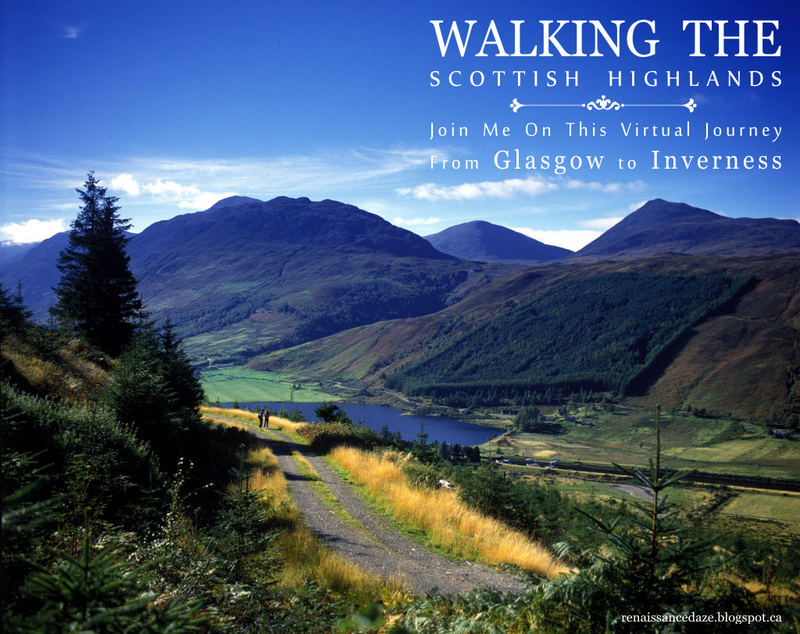 Step by Step: Walking the Scottish Highlands by Tatiana Dokuchic on 2015-09-19 A virtual journey that will take me just over 200 miles, from Glasgow to Inverness. STAGE 1: Finished the first stage in three days. Had a grand time though I really had to push on the last day as there were 5 miles left instead of my usual 4. I'm excited to be off of the approach trail and into the Highlands starting with the West Highland Way. Managed to charm, cajole &/or nag friends & family to walk along with me but there's still lots of room for more walkers. You can join in anytime & go at your own pace. Trail marker for the West Highland Way. Beginning Week 2 of my SHW walk on the "Bonnie, bonnie, banks of Loch Lomond". Since I grew up drinking water sourced from its Canadian namesake I'm delighted to be travelling down the shores of the original. Perfect walking weather in Ottawa made the first 33.5 miles an absolute pleasure! After 22 days I'm delighted to be at the midpoint of my journey; my greatest accomplishment being consistency (something I'm not noted for in general). The wonderful fall weather certainly helped me "get out & get going" so I'm hoping for more of the same in October. Don't mind walking in the rain as long as it's not freezing. Spent the last week walking along the shores of the famous Loch Ness and was treated to some beautiful views but no (credible) sightings of Nessie herself. After 41 days I'm 90% of the way and looking forward to seeing Inverness. Real Life walking conditions have gotten much cooler (I've worn my parka a few times) but I'm hoping that by the time the snow flies I'll have ingrained the habit of getting out and walking at least three times a day. I'm counting on this to help get me through the long winter months when all I really want to do is stay home curled up in front of a nice warm computer. Woohoo!! Made it to Inverness!! Took me 45 days at an average of 4.4 miles/day and I'm very satisfied because I managed to meet my step goal of 10k steps every single day. Looking forward to the next adventure as I've chosen the Chemin le Puy which goes through France towards Spain.